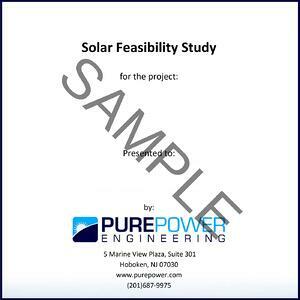 Feasibility studies are a recommended early step in the development process because they confirm that the system is electrically and structurally feasible before spending time and money on development or engineering. Our structural analysis determines the maximum pounds per square foot (psf) and total system weight the roof can support based on codes and standards, allowing us to make the most informed recommendations for equipment. We use our findings to propose preliminary design recommendations so you can envision your system. Our thorough electrical analysis starts with a site walk so we can determine the interconnection point(s), maximum system sizes, equipment locations, and more. Our findings lay the ground work for developing, engineering, and installing the most profitable solar PV systems.